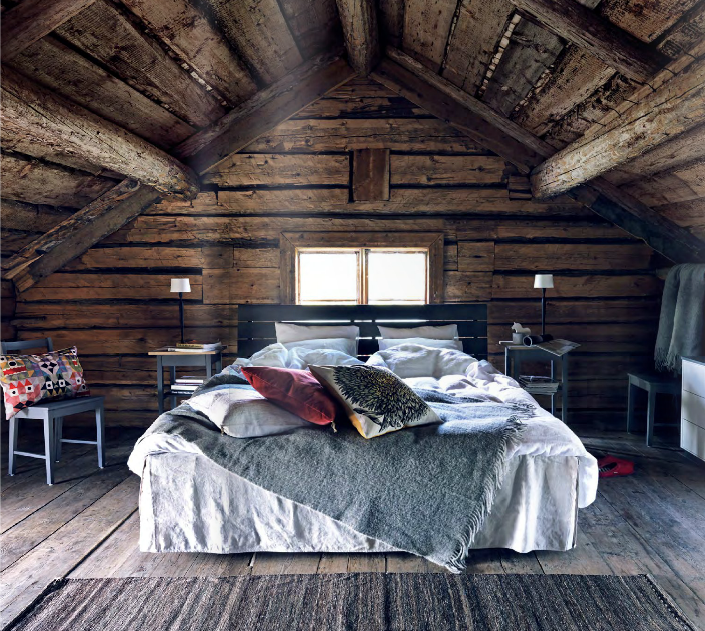 Via Est, this cabin interior is one of the most breathtaking I’ve ever seen, such a perfect blend of boho colors and patterns with the pillows, minimal rugs and sheets, and modern streamlined lamps and bedstands. i cannot find this on the est site, is there a more direct link? maybe it’s a member’s only view? Yes agreed! i would love to spend a holiday here! Hi, I tried really hard to find it again but actually couldn’t! It was definitely in one of the most recent issues, which, yes, you need to be a subscriber to view but subscribing is free, just enter your email and a password. I hope that helps and sorry I can’t find the exact page again!